Football and the Olympics have historically made for uneasy bedfellows. The Olympics is, at its essence, a celebration of the amateur principles of sport. In modern times, it has become a festival for athletics and minority sports to spend four weeks in the soda light. European football, with its global popularity and garish riches, does not fit comfortably into this brief. The 2012 Olympic Games in London was greeted with a slew of articles in the British press pitting the Corinthian spirit of Olympians unfavourably against pampered, obscenely rewarded footballers. Of course, these ‘think pieces’ ceased once the 2012-13 football season began in earnest. 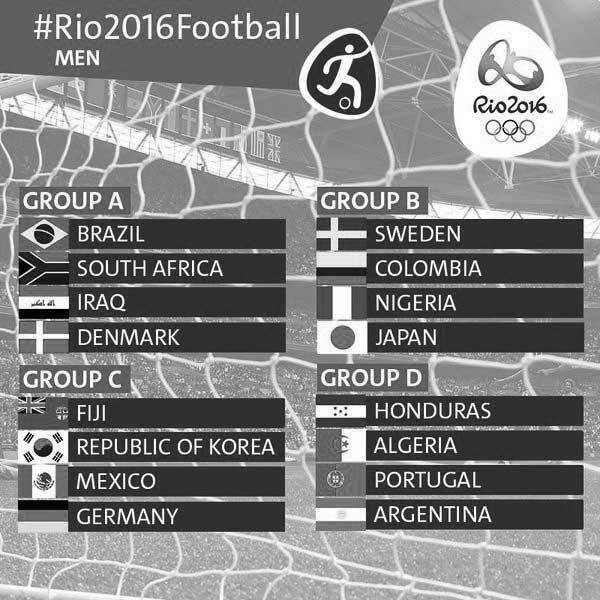 The Olympics football tournament might gain more traction with public imagination were it to fall in June or July. The Confederations Cup is not regarded seriously but watched widely simply because it falls in the summer vacuum. The Olympics overlaps with the beginning of the European football season, which further dilutes interest on the continent. This August, the world’s most storied international side will contest the Olympic Games on its own soil and it will take the tournament very seriously. Brazil omitted their captain and one man force of nature Neymar Junior from the Copa América in June, so that he could compete as an Olympian. The Barca man is one of the Seleção’s three permitted players over the age of 23. So why are Brazil taking the Olympics so seriously, more seriously than the Copa América? There are several reasons. Brazil are of course, hosting the games. The Seleção will play two group matches in Brasília and one in Salvador. The country’s football still reverberates from the fallout of the 7-1 defeat to Germany in Belo Horizonte two years ago, the last time that Brazil hosted a tournament. Despite their unparalleled history of success, Brazil is a footballing culture that defines itself by its failures, rather than its victories. The Maracanazo of 1950, when the Seleção were humbled by Uruguay in the 1950 World Cup final in Rio, is a ghost that no amount of World Cup wins will chase away from Brazil’s conscience. Hosting the games would probably inspire most countries to take the tournament more seriously- Great Britain produced a dedicated football team for the first time in 52 years in 2012. Brazil bears several wounds as tournament hosts that it is keen to at least partially dress with victory. Brazil still smarts from Germany’s cold deconstruction of their dreams in 2014 and longs for a victory parade to begin addressing the damage inflicted in Belo Horizonte that afternoon. In truth, it is difficult to see many Brazilians regarding it as more than mere window dressing, especially with Brazilian football mired in administrative and developmental crises. The corridors of the CBF are staffed with proud men and they will feel partial vindication if Brazil take the gold for soccer. Brazil have won 5 World Cups- more than any other nation. They have 8 Copa Américas (in its various guises), a tournament that is not always regarded with great enthusiasm in South America. Uruguay have won 15, so the Seleção are hardly within immediate reaching distance of that record. Brazil has never won the Olympic gold for football, which is seen by some as a slight on their otherwise sensational record. In the 2012 Olympics in London, they fell to a shock 2-1 defeat to Mexico at Wembley and in doing so, blew their best ever chance of flinging the Olympic monkey from their backs. With home advantage on this occasion and an exciting squad featuring a genuine world star in Neymar, expectations are high for Brazil at the games. They have unfinished business at the games. The Seleção are on a steady decline, a functional team with one bona fide star and an ordinary supporting cast. This Brazil squad is a long way from winning another World Cup. The last three Copa América campaigns, which have ended in ignominy, demonstrate that this once great footballing nation struggles to compete on its own continent nowadays. The Olympics is an U-23 tournament that few countries take seriously. With home advantage and senior players such as Neymar and Douglas Costa in tow, Brazil stands a decent chance of winning it. It is doubtful whether a gold medal would go any way to healing the rift between the Brazilian public and its declining football team. Brazilians definitely love winners, even those that become successful in minority sports can expect to be received very generously. However, there is a trust issue between Brazilian football fans and the CBF and it is difficult to extricate the team and the federation from one another in the eyes of many. 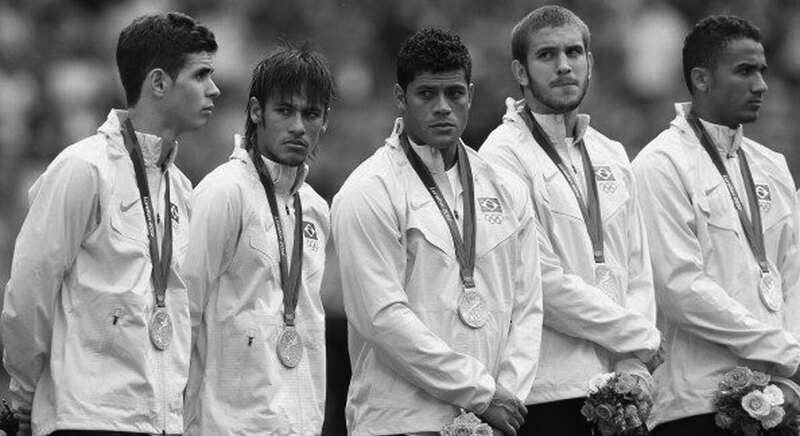 Ensconced in their ivory tower, the CBF would regard Olympic gold as evidence that the Seleção remain a world power. They took the 2015 Copa América very seriously, in part, because they wanted to quell the fallout of their 2014 World Cup humiliation. In doing so, they only exacerbated the situation as a floundering team had its nose bloodied by Paraguay in the quarter-finals. The CBF remain committed to short term fixes for the country’s failing football culture. An Olympic gold would be seen as an especially shiny Polyfilla. For all of their recent woes, Brazil have an exciting generation of players waiting to emerge from this U-23 crop. Incoming boss Tite will look on with great interest, as several of these young talents are likely to feature in the 2018 World Cup qualifying campaign and beyond. Dunga, understandably, decided to keep this band of players together in the U-23 squad in preparation for the games, before blooding them in the first team from September 2016 onwards. The likes of Gabriel Barbosa (Santos), Gabriel Jesús (Palmeiras), Luan (Grêmio) and Rodrigo Caio (São Paulo) would likely have been exposed to the senior squad regularly by now were it not for the incoming games. They are likely to feature for the remainder of the country’s tricky qualifying campaign for the 2018 World Cup in Russia. Of course, many will look to use the Olympics as a shop window for their club aspirations too. For Tite, some of the main cogs in this young squad will represent a clean break from an old guard haunted by recent failure. Many of the senior squad have moved to less competitive leagues in their club careers too. Beyond the first choice three of Willian, Douglas Costa and Neymar, the attack looks bereft of top class talent in recent Seleção squads. At the Olympics, Neymar will be able to develop his leadership skills, forming early bonds with the likes of Gabigol and Gabriel Jesús, who together will form the fulcrum of Brazil’s attack for the foreseeable future. Tite will look to refresh an underperforming and ageing squad with this Olympic stock. The ex-Corinthians boss is about to undertake a thankless job. But he can at least be grateful that much of the work in developing the future of the Seleção has been done for him and, upon the conclusion of the Olympics, he can begin reaping the benefits instantly. It is almost certainly the only positive legacy that his predecessor Dunga will leave him.